Designer Sandy Comstock's inspirational jewelry is timeless. 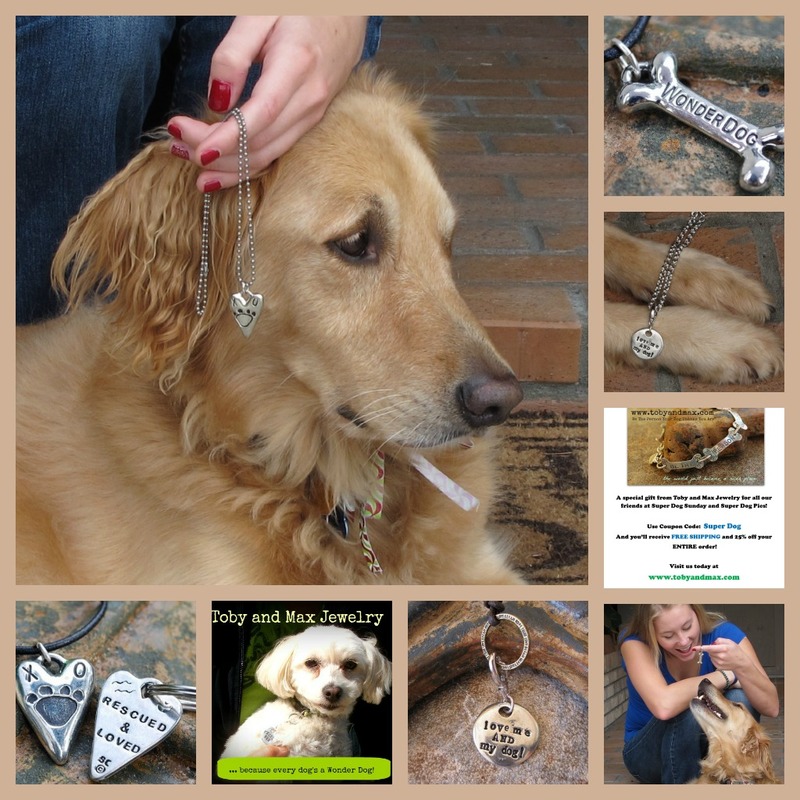 Not only are these pieces beautiful and made of allergy-free nickel, silver and platinum, they're perfect for pet lovers. 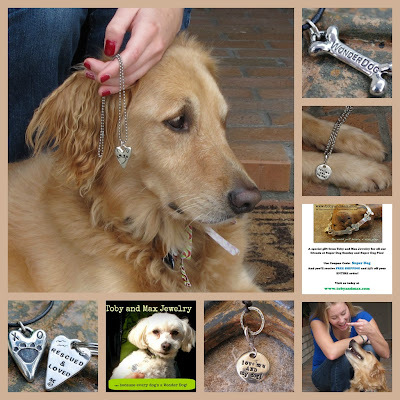 So perfect, in fact, that Sandy has a section of pet lover items on her site and it appears to be growing. A while back when I had the opportunity to review and share some of Sandy's designs, my readers shared my thrill with these beautiful pieces of art. Now, as a sponsor of our charity photo contest, Super Dog Sunday™, Toby and Max is giving back to the community. With their donation to Petfinder Foundation, prizes for our photo contest winners and more, we're all excited to see who wins these beautiful chains, bracelets and baubles. Lucky will be these folks who have entered the contest with photos to be reckoned with! What? You haven't entered yet? Oh my! Oh dear! The good news is it's not too late. You can enter until 6 PM on Sunday, February 3 at kickoff time. You'll find all the details here. What's more, Toby and Max is offering a fabulous discount in honor of our Super Dog Sunday™ event. To get this sure thing, place your order by March 31 using the Coupon Code "Super Dog" and you'll get a whopping 25% off, plus free shipping. You just can't beat that offer. Write it down on a sticky note and plaster it to your calendar to handle after you've finished reading. Before you head off to shop, be sure to check in at Facebook and Twitter to check in, ask your questions or see what's new. Happy shopping! Event Barkers, a partnership of Dogtipper.com and AllThingsDogBlog.com, is working with Toby and Max to increase their product awareness. As a charitable sponsor of Super Dog Sunday™, Toby and Max is supporting Petfinder Foundation and its work with shelter animals. Be sure to check out today's article about sponsor Nature's Logic, published at 5MinutesforFido.com.